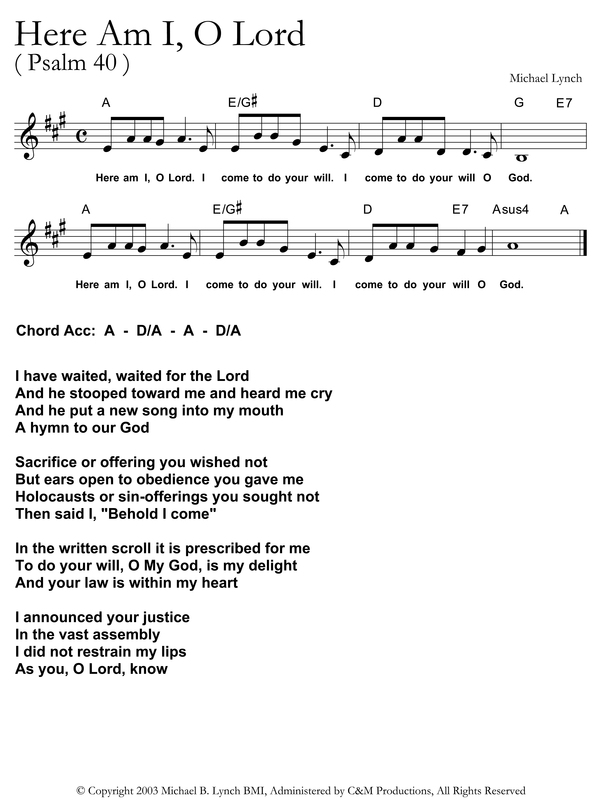 Below is both a PDF file of the psalm as well as a JPEG image. 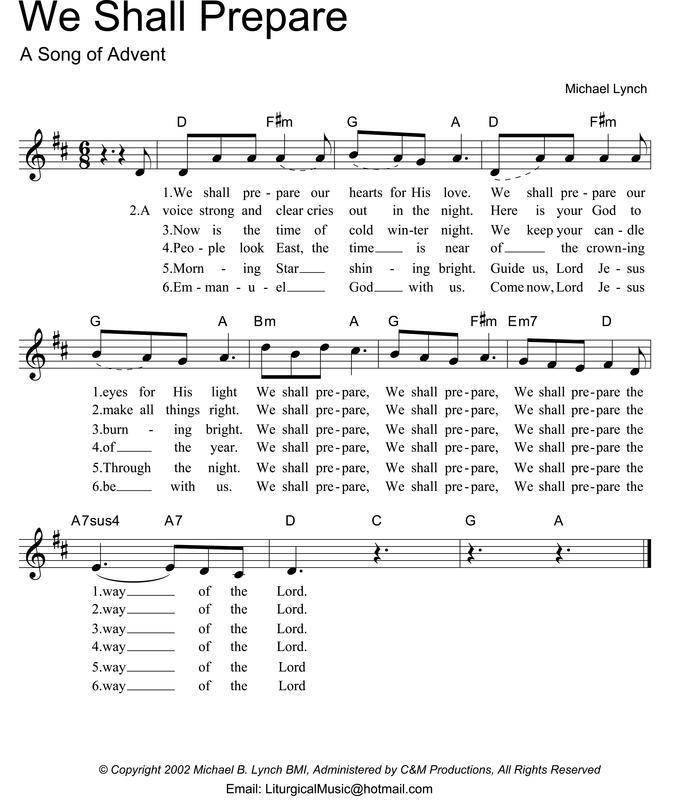 We have been singing this song for the past 10 years or so at our parish during the Advent season. 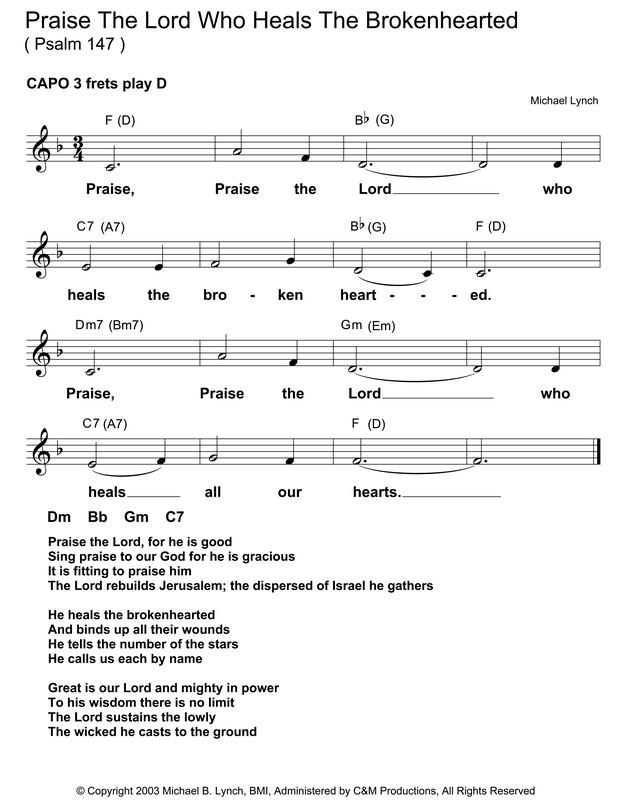 It works well with both adult and children’s liturgies. . . The Piano figure that is used in the intro and interludes between verses is quite nicely done on the flute or violin. The “MARANATHA MASS” has served our parish of Christ The King for many years now and in doing this revision for the New Roman Missal I discovered very little was needed to change because we don’t sing the Glory To God during Advent. . . In this YouTube video you will hear all of the parts of the mass. . . The “MARANATHA MASS” is available for licensing to parishes. Remember, the verses are to be either liberally improvised or spoken under the chordal accompaniment given above the Verse text.